Hello, my name is Giulio, and I am an Italian 28 years old collector. Being a medical doctor I only have very short spare time to dedicate to my hobbies and collections, but there are things, such as books, which always deserve a bit of my time. 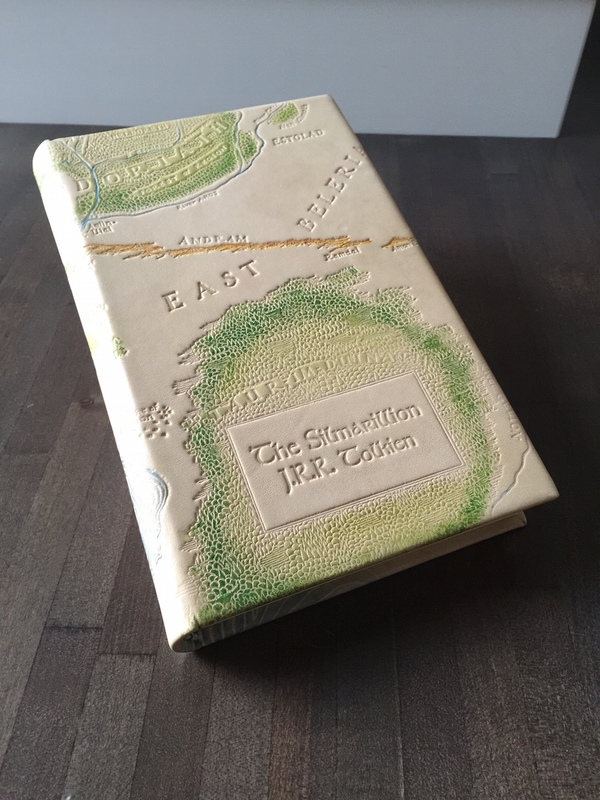 I have been a fantasy and Tolkien reader since I was a kid. During University I started dedicating myself to books from a collector point of view. To tell the truth everything started from an Alice in Wonderland 2nd UK edition, when I bought it and touched that wonderful ancient book with my hands, I realized that I could become a collector. I collect books, mainly fairy tales ones. 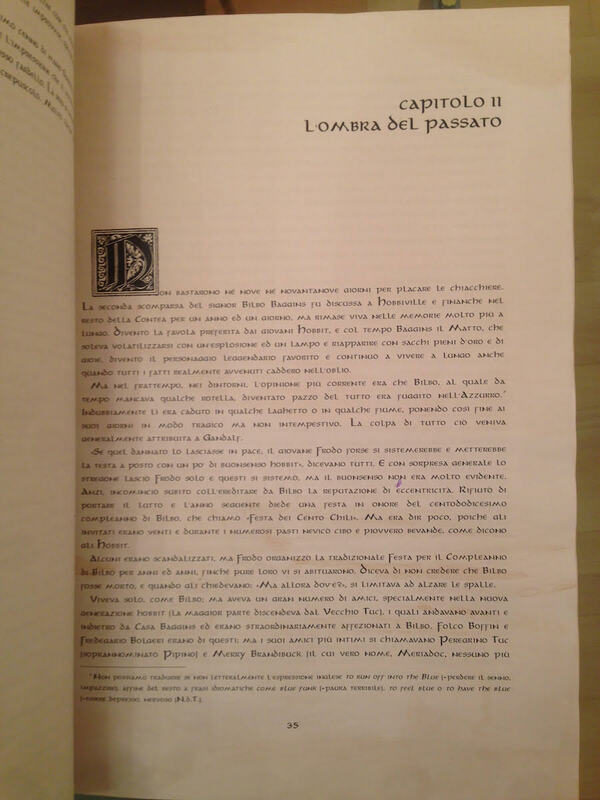 At a certain point I started collecting the Tolkien books I didn't already have, and I found out that Italia has both numerous and incredibly rare editions, something I really didn't expect. 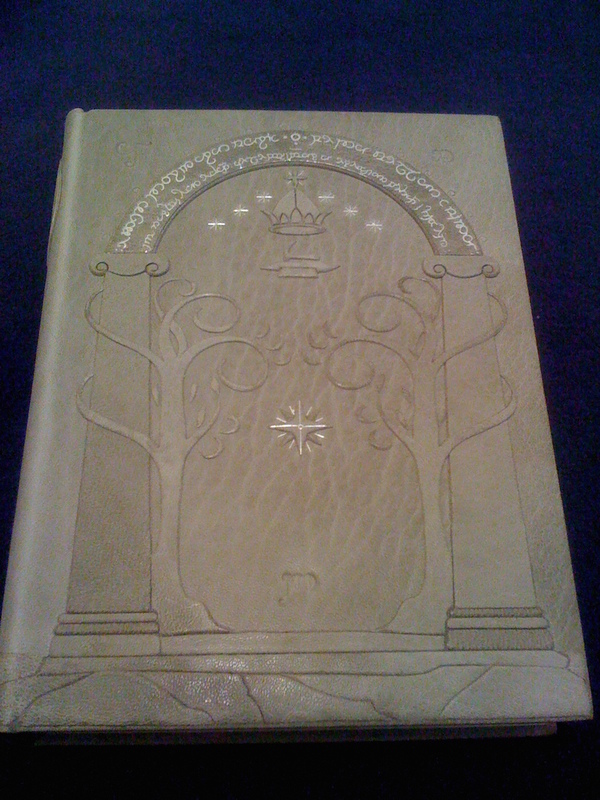 I consider myself an uncommon Tolkien collector, I never focus myself on particular editions, I buy what I like. 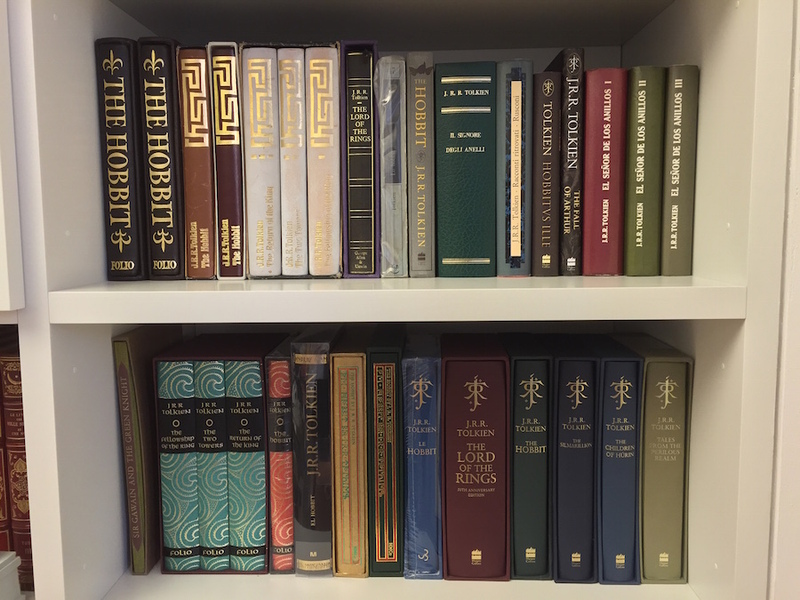 But this is just the surface: I realize that there will always be someone that will have more complete collections or who has untouched mint 1st editions of every Tolkien book; what I really want when I see my books is to feel that they are only mine! Something which other people simply cannot have. For this reason I have many common editions, some of them even quite rare, but the real core of my collection are the books which have something that makes them unique, maybe because they are signed, or because I customized them. I don't keep my Tolkien books altogether. Probably something like 300-400 books. It is very difficult to say which is the 'greatest find' in an uncommon collection? I can describe the 2-3 most particular books I have, which aren?t necessarily the most expensive. 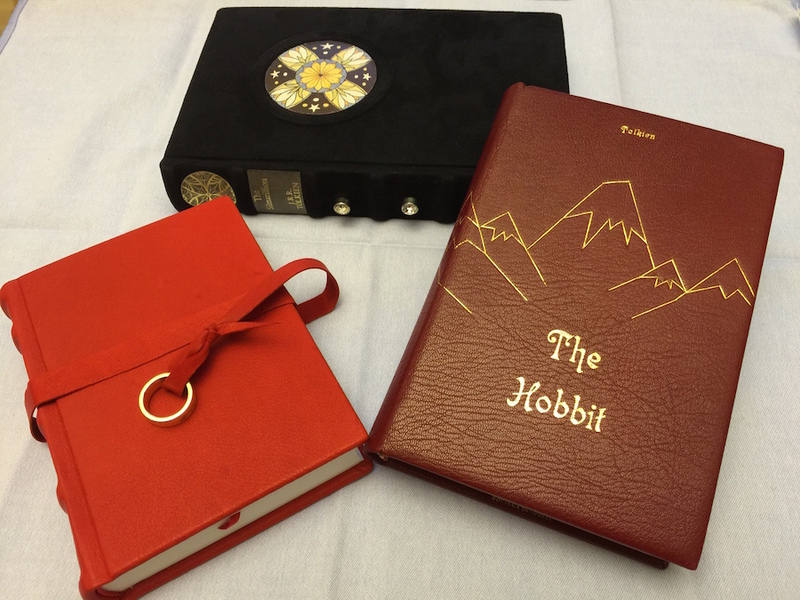 For sure my favorite one is a 1967 Astrolabio "Fellowship of the ring" (every Italian collector knows what I am talking about) that underwent a complete transformation. 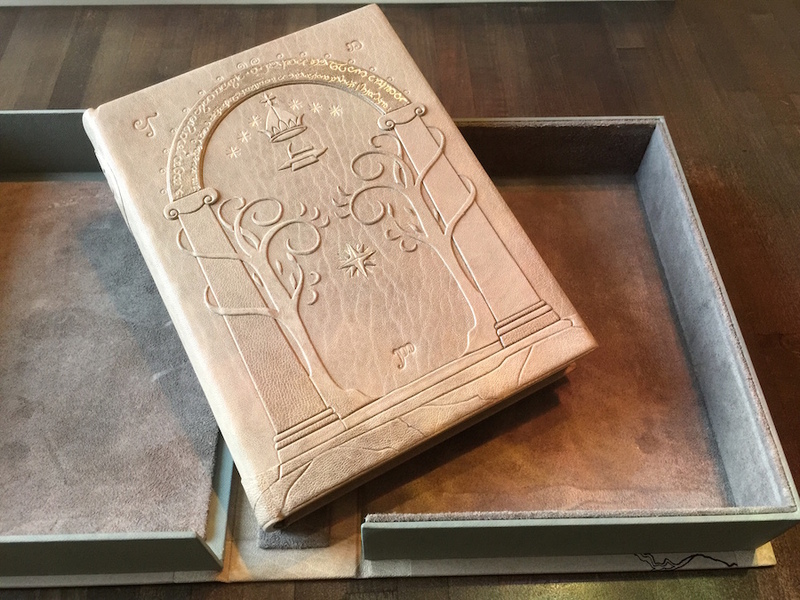 One of the best bookbinder in the World turned its binding into a beautiful Moria gate, enriching the wonderful stone-color leather with silver details and creating a perfect slipcase with the Middle-earth maps. 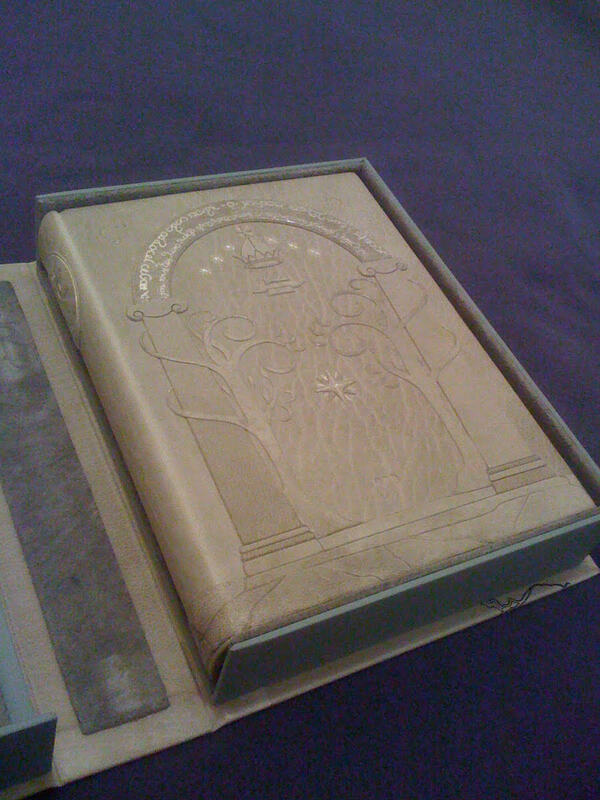 Another wonderful piece is a copy of The Silmarillion that I wanted to represent on its binding the Middle-earth map. 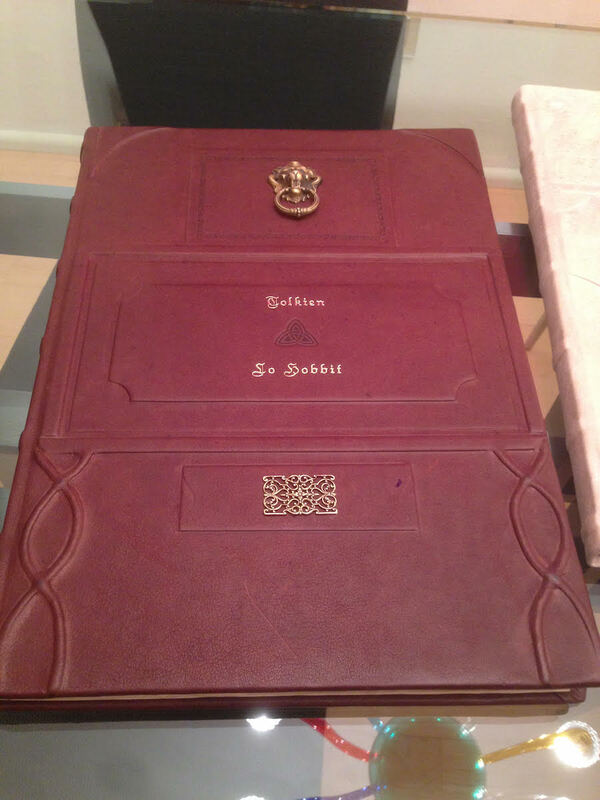 In this case the leather used was an old parchment-colored piece of leather subsequently watercolored. 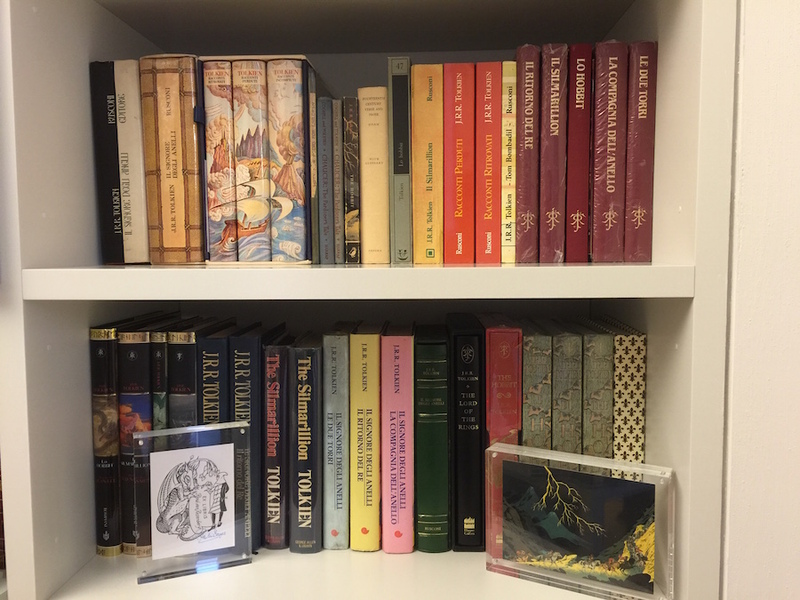 I would spend hours talking about every piece, as every one of them is unique, but to summarize I can say that, apart from common and rare market editions, I have a mistaken Folio Society copy, various book signed by Pauline Baynes, Christopher Tolkien (not the standard deluxe editions, but real mass-market books), David Day, Alan Lee. 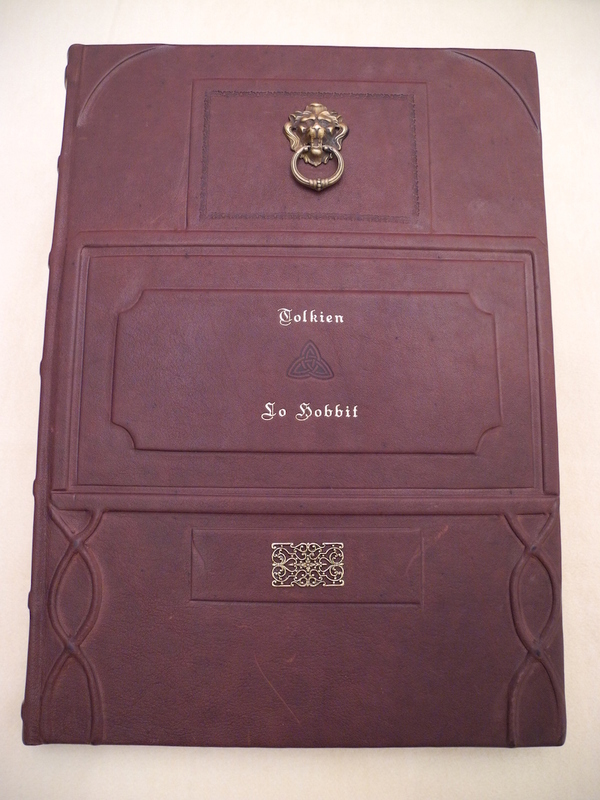 I have at least a dozen custom binded copies, and finally three really impressive great format The Hobbit and The Lord of the Rings, created by an artist in A3 format, completely rewritten and reprinted on ancient paper with a wonderful leather binding. Collecting for me is a plus. I love the book because of what's written in them, and when I love a book I want to have many copies of it. Transforming a copy of a book into a piece of art is priceless for me.